Small but mighty! Just because your display isn't huge doesn't mean you can't make a huge impact. Our expert designers know how to lay out your message for maximum effect. Which display system is right for you depends on exactly how you're planning to use the exhibit today, and also where you're using it in the future. Our staff has tons of experience guiding people to the right combination of form and function. Call to schedule a free consultation with an exhibit professional today! 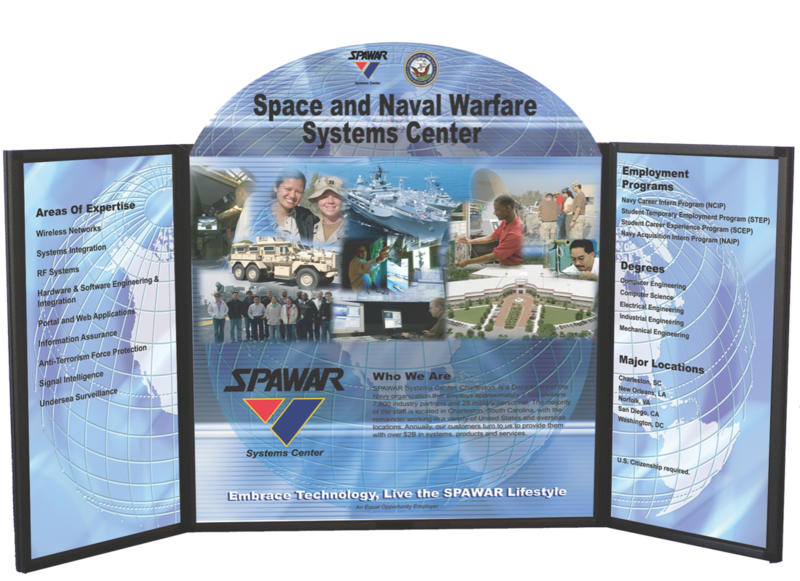 Available for 6 and 8 foot tables, this is an easy popup frame with a fabric graphic that stays loaded in shipping for fast, simple setup. Lifetime, no-questions-asked warranty on the hardware, and unsurpassed image quality makes this the best choice for high-level exhibitors. Wide variety of sizes are available to fit any application. Self standing hardware can be used as both a tabletop or full-size display. Single or double-sided. A popup frame hold individual fabric graphics of various shapes and sizes. 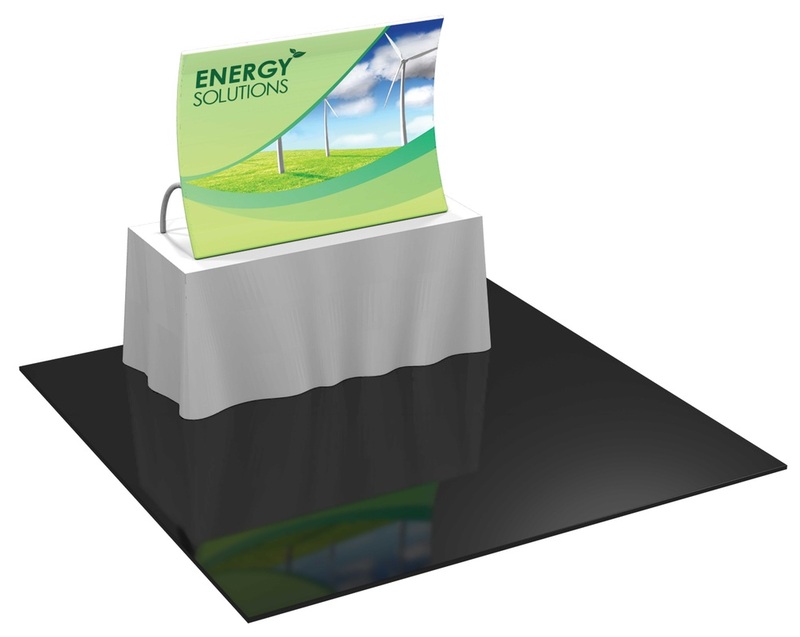 This display has a dynamic dimensional look, plus it allows you to swap out individual panels quickly and inexpensively. 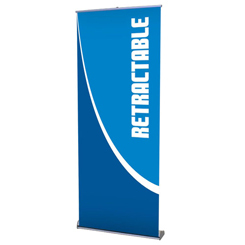 Formulate displays consist of a tubular frame, with a fabric graphic that pulls over the frame like a pillowcase. This gives us a seamless appearance at low cost. Available in many shapes and sizes! This small presentation display folds into a briefcase with a hard plastic shell, and leaves the velcro-on graphics loaded and ready for your next presentation. Many sizes are available.